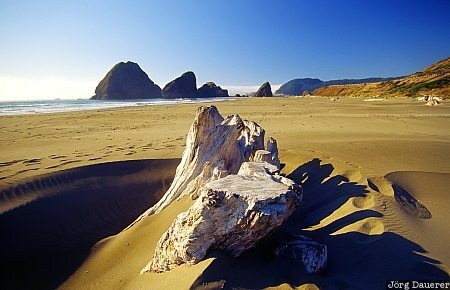 The Pacific coast and sea stacks behind a piece of driftwood in Cape Blanco State Park, Oregon, United States. This photo was taken on a sunny day in early October of 2004. This photo is part of the exhibition The Beach (June 2015).